For a Professional Glass and Mirror Company in Fort Worth, TX, Contact Armstrong’s Glass & Mirror! Glass and mirrors are a great way to add value and extra aesthetic appeal to your home or business. Mirrors can add depth and give the illusion that a room is bigger, while glass shelves, windows, and are excellent ways to accent different areas of your home or business. Whatever type of glass or mirror services you need Armstrong's Glass & Mirror is ready to help you! We are a glass mirror company in Fort Worth, TX that can offer repairs, installations, and replacements on a wide range of glass and mirror services. Not only that, we also offer services for windows and bath and shower enclosures. Sit down with our technicians today to find the perfect service for glass and mirrors in your home. They are able to ensure that our services meet your budget and will add more value to your property. For glass and mirror services you can trust, you can rely on our specialists. Just give our glass and mirror company a call at 817-937-6267 today! 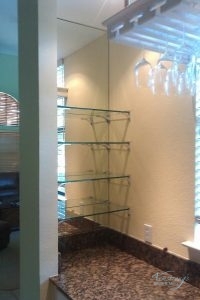 Our Glass and Mirror Company Offers Many Services That Can Enhance the Look of Your Home or Business. 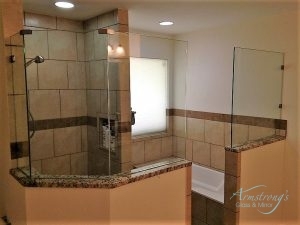 Whatever type of glass, mirror, window, or custom glass bath and shower enclosures you need, our technicians will work closely with you to make sure it’s done to your liking. We will never begin our services until you have seen a complete quote. Our technicians take the time to examine your home or business, coming up with a plan that meets your specific needs while adding worth to your property. These are the types of services we offer. Call our glass and mirror company in Fort Worth, TX today at 817-937-6267 to schedule an appointment! Updated on January 14, 2019 at 3:43 pm by Armstrong Glass.